Gate Openers Direct carries a large selection of commercial swing gate operators. A swing operator is used when a gate (or two gates) opens inward or outward, pivoting from a hinge point. A commercial swing gate opener is a heavy duty opener designed for heavy use. These openers handle the elements better and have parts that allow for continuous operation. 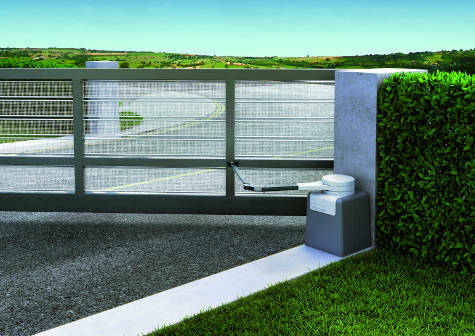 Why buy from Gate Openers Direct? First and foremost, EXPERIENCE AND TECHNICAL SUPPORT. This may seem like fluff, but experience can’t be bought by new “box pusher” internet distributors. Experienced technical support knowledge will translate into serious money over the life of any commercial barrier gate opener. Especially, if you have to pay someone to come to your location every time there is a glitch or problem. Anyone who has ever had a service tech hand them a bill for hundreds of dollars only to discover later that it was probably something they could have handled themselves, knows all too well how much money a “friend in the business” is worth. Let us be your friend, Gate Openers Direct!